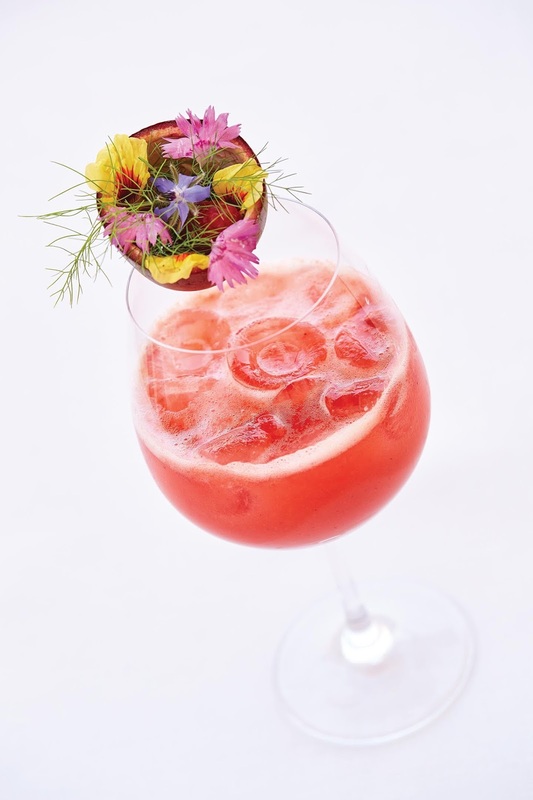 Where to Travel Next: The Cipriani opened for the 2018 season on March 21. Please join me this week for an insider visit. 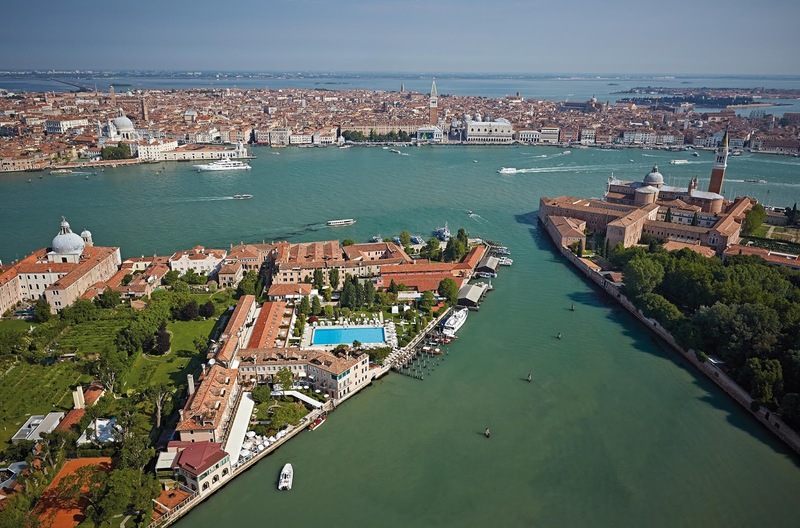 Every May/June, I head to Venice, a week after the opening of the Venice Biennale, It’s the perfect time to be there. The Biennale opening group has departed, and summer crowds have not yet arrived. It’s bliss. 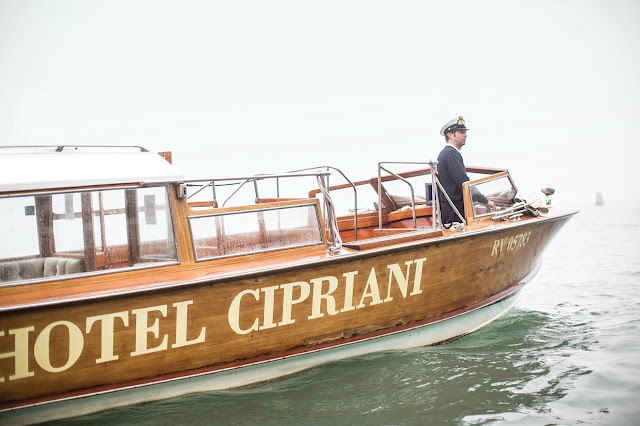 If I’m really lucky, I will check in to the Cipriani. It is one of the most beautiful hotel resorts in the world…in one of the most beautiful locations. 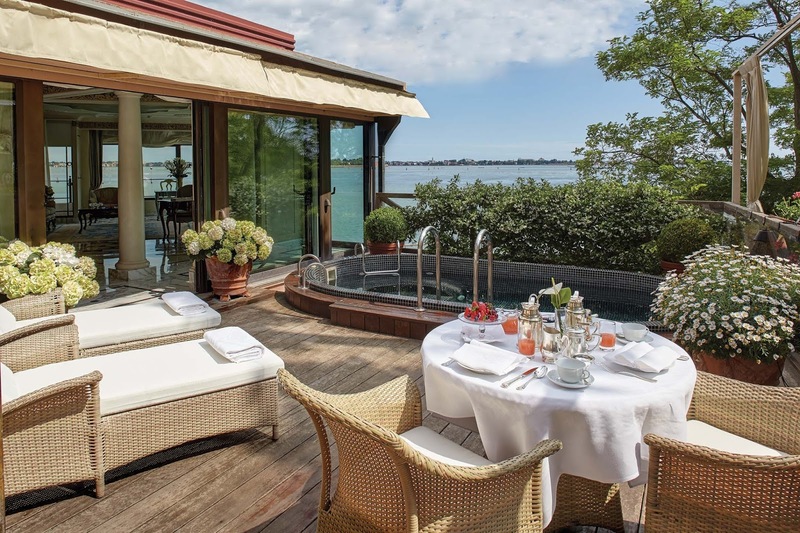 I hope to spend my days reading and writing in the garden, inviting friends for cocktails or dinner at Cip’s Club, and criss-crossing the Bacino in the hotel launch. 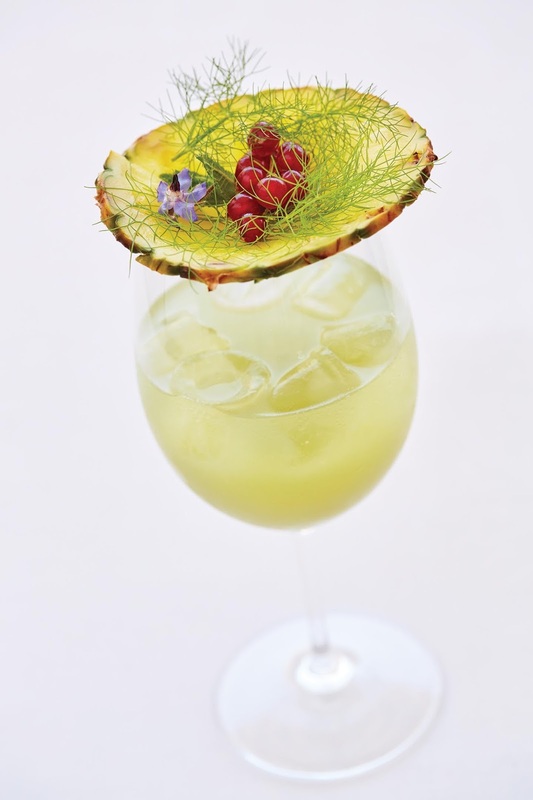 I’ll invite friends for drinks at the legendary Cipriani bar to make a toast to good fortune with a ‘Buona Notte’ cocktail, (vodka, lemon, ginger, bitters, cranberry juice) first concocted for George Clooney. This week I’ve got the latest news of the Hotel Cipriani, plus this year's dates of the Venice Biennale, and special tours and trips happening at the hotel this summer. 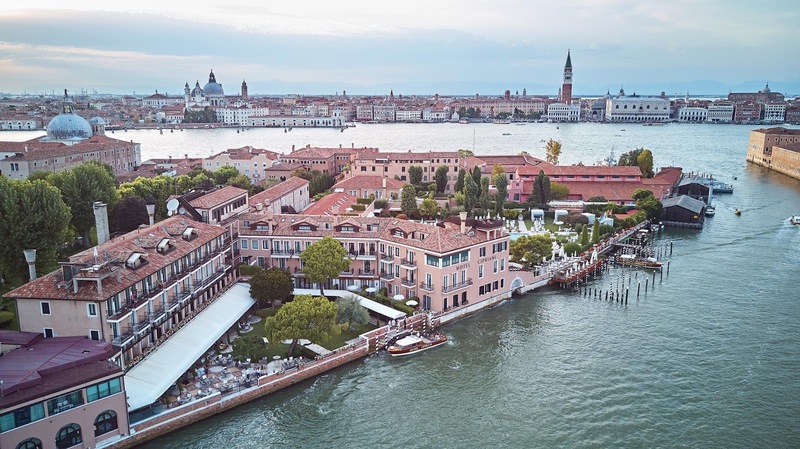 It’s no secret that George Clooney and his wife Amal are fans of the Cipriani…but there are also super-fans who arrive from New York, Sydney, or London with boatloads of luggage and stay for the summer, for a month, or to celebrate an anniversary. Last summer at the Cipriani I met a lovely family from Connecticut (grandparents, sons and daughters, husbands and wives, and grandchildren) who have been staying there for a month every summer for the last thirty years. Nan Kempner used to move in for the month of July. Dodie Rosekrans was a frequent visitor. And noted artists and writers, actors and royals arrive quietly, assured of privacy and a warm, low-key welcome. 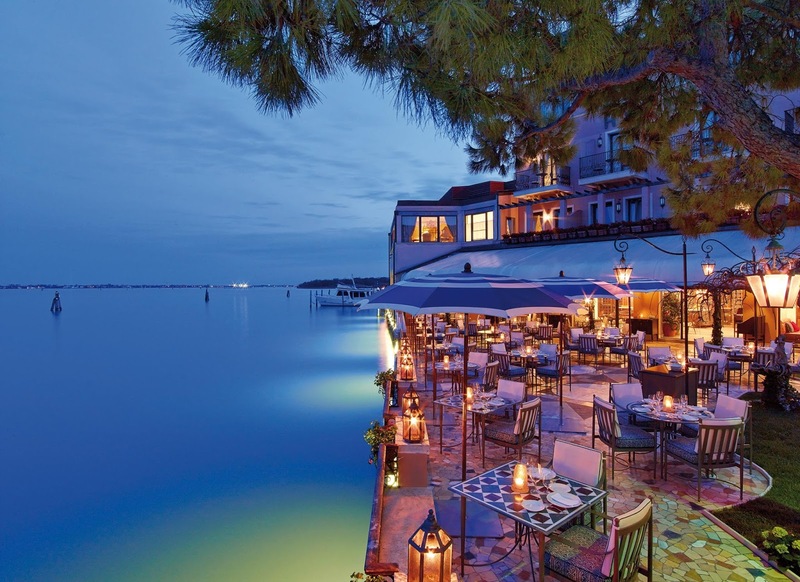 The Cipriani (formally known at the Belmond Hotel Cipriani, Venice) is only accessible by boat. Specifically the hotel launch, which plies back and forth, day and night, from the Cipriani private dock on San Marco. It’s ultra-private. Hidden behind trees and walls and ancient buildings along the waterfront, and turned towards the lagoon, the Cipriani can’t be seen. Guests arrive at the dock, and disappear into their own world. In honor of its 60th anniversary, the Belmond Hotel Cipriani will be hosting cooking classes highlighting historical Venetian recipes. Chefs gather ingredients from their adjacent biodynamic vegetable garden. 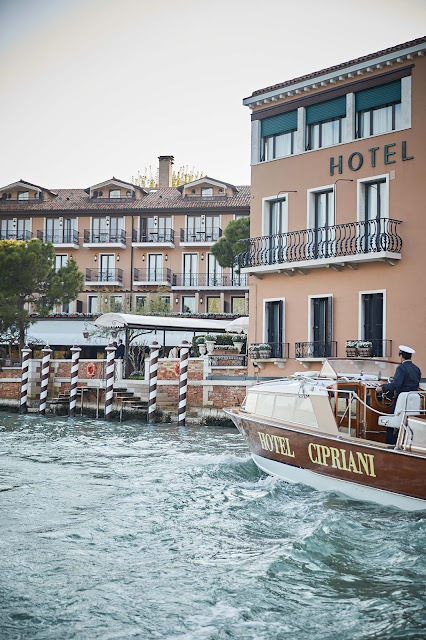 Guests who stay for a week or a month or the whole summer at the Cipriani seldom leave for the day. Why would they? It’s a dream location. 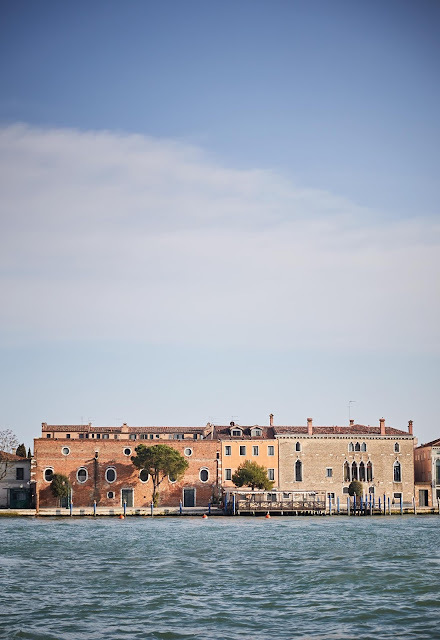 But…for guests who would like to take an afternoon excursion or a late-morning trip, there are new private tours throughout Veniceto see private glass-making studios, to meet artists, to see restoration underway at hidden chapels or churches, or to meet a noted artisan such as a man who operates a hand-cranked printing press, or a specialist in papermaking and the art of marbleizing and other arts. 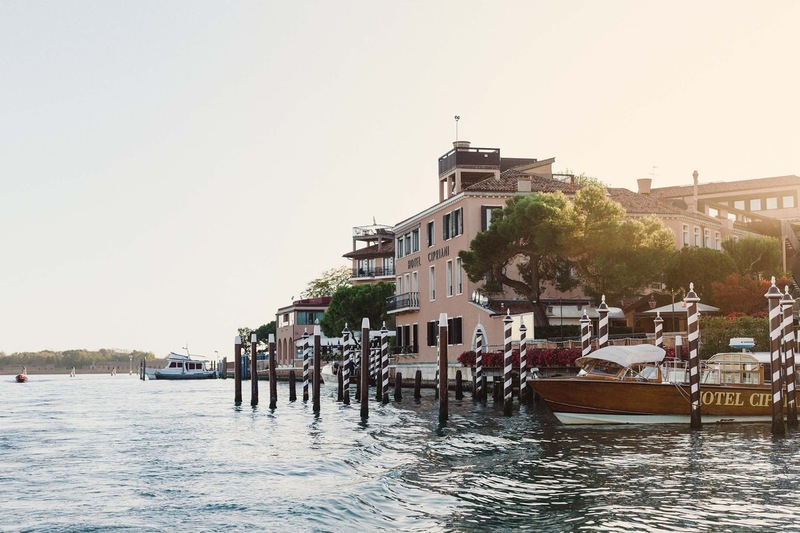 There is also a new scenic boat tour aboard the meticulously restored, 16-meter motor/ sailing yacht, Edipo Re, into the lagoon to visit impossible-to-forget islands, or to go to Torcello, or for lunch on Burano. 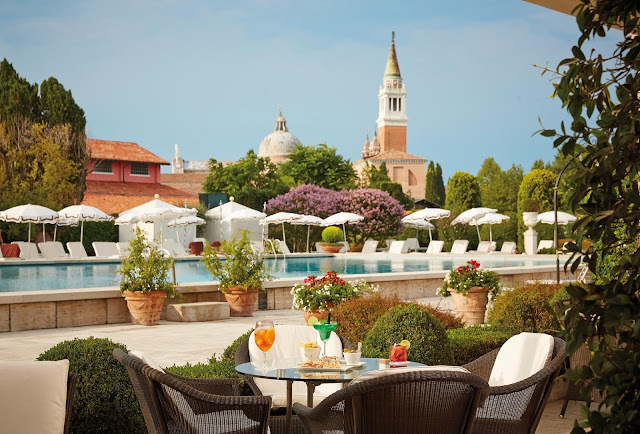 The Belmond Hotel Cipriani affords a summer escape with garden villas, a pool, and private residences in a sixteenth-century palazzo. A well-kept secret for over six decades among its loyal guests, the Cipriani is accessible only by the hotel’s private launch that arrives at one closely guarded landing. 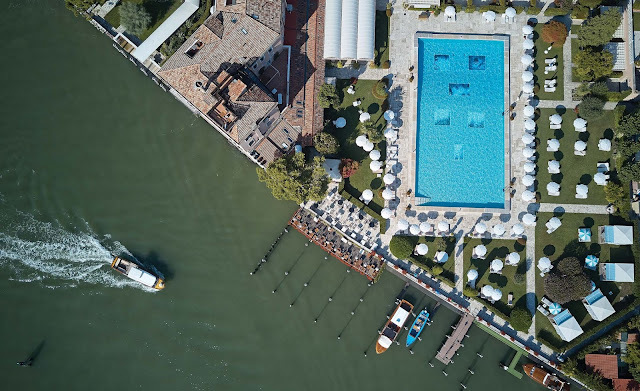 Stars of the annual Venice film festival such as Brad Pitt, Nicole Kidman, and Uma Thurman hide out in sunny suites among its fragrant gardens. The hotel’s history dates back to 1958 when Giuseppe Cipriani, founder of Harry’s Bar in Venice and inventor of the Bellini cocktail partnered with three English noblewomen to create a club-like hotel. 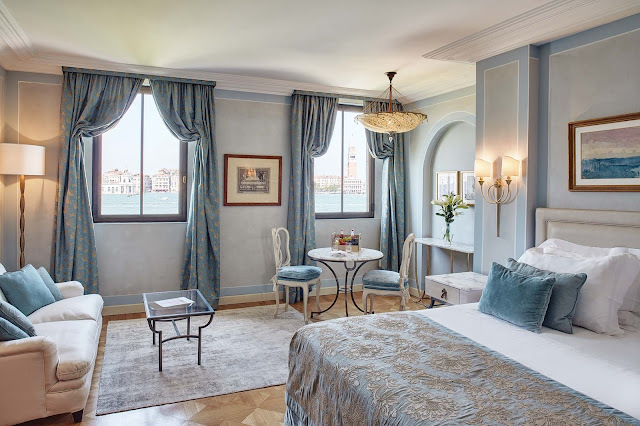 Residences and suites have been created in two 16th-century palazzi, or a Bacino-view Venetian-style villa, decorated individually with Murano glass chandeliers, and Venetian antiques. Suites are light-filled and airy, and created with a subtle color palette necessary when afternoon temperatures may reach into the nineties. 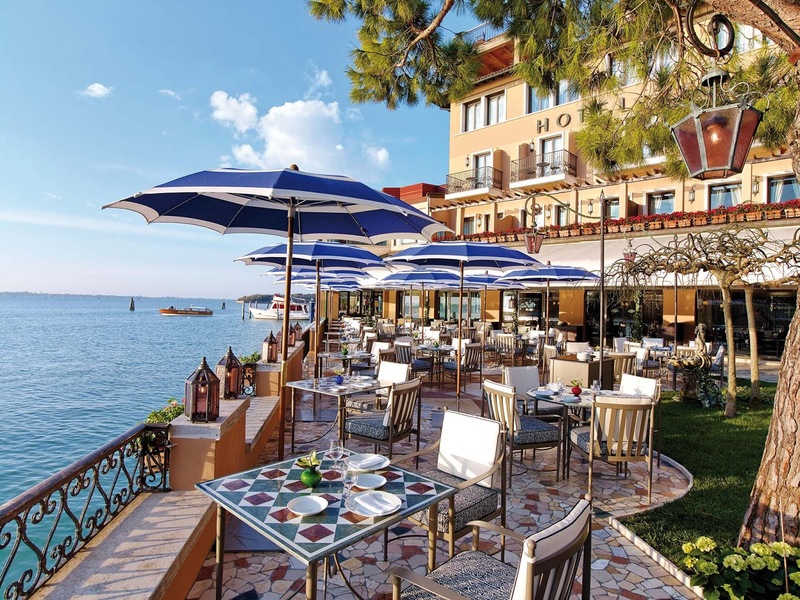 The hotel’s ninety-five rooms and suites, many with balconies or terraces and magnificent views over the gardens, offer a true taste of classic Venetian style. Elaborate antique Venetian mirrors, tapestries, marble floors, Rubelli silks and jacquards, and gold-printed Fortuny fabrics embellish the harmonious interiors. They are selected by Parisian architect Gérard Gallet, also responsible for decor of hotels and trains of the Belmond collection. 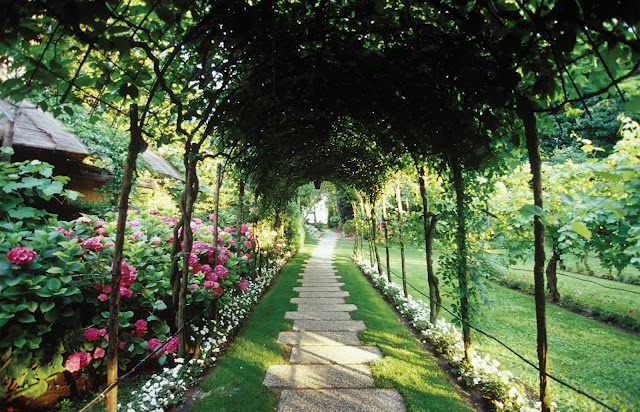 Many guests don’t leave the jasmine-scented property, only taking an afternoon excursion to follow the Oro restaurant chef as he gathers fresh lettuces and ripe tomatoes in the synergistic garden just through a locked gate from the romantic Casanova Garden and the hotel’s vineyard. 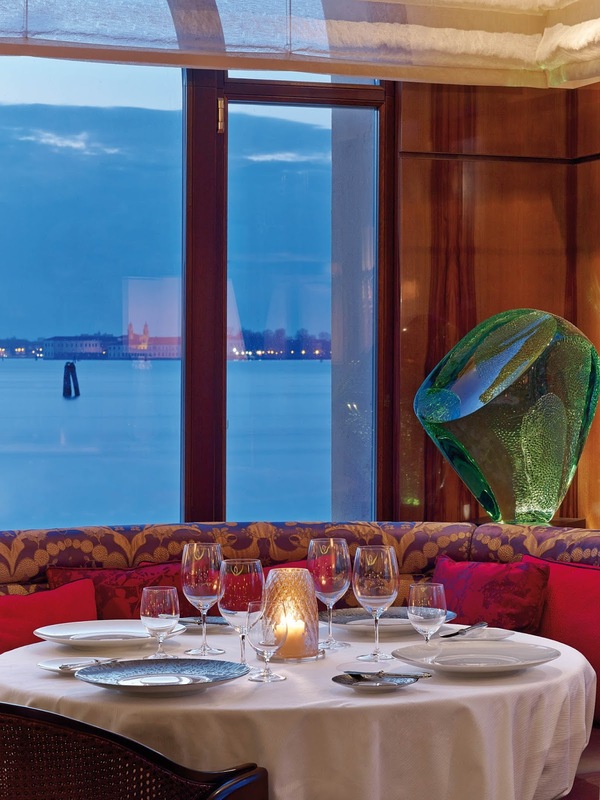 Diners at Cip's Club enjoy views of the Doge’s Palace and the legendary Punta della Dogana, and the striking baroque silhouette of the 17th-century Santa Maria della Salute basilica. an outdoor heated plunge pool with Jacuzzi whirlpool. Guests arriving by boat can land directly at the suite’s private dock. 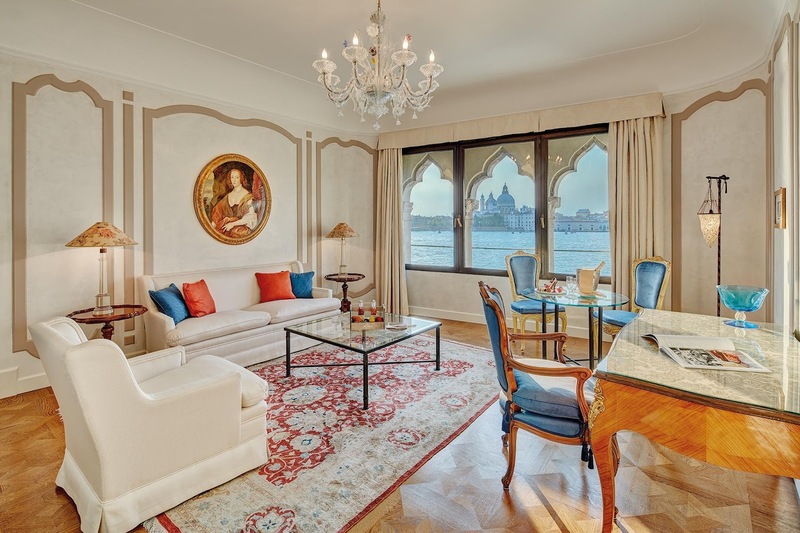 The Dogaressa Suite has breathtaking views over St Mark’s and the Doge’s Palace. 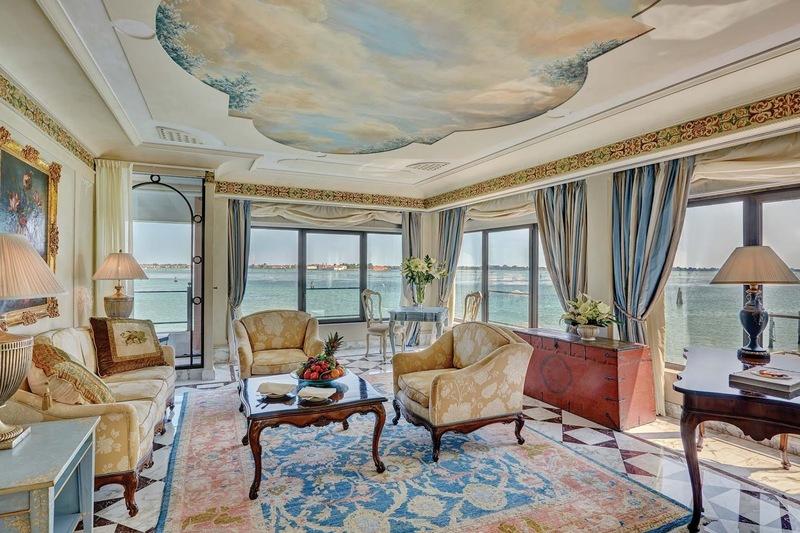 The sitting room—the largest in the Palazzo—is decorated with original 18th-century Coromandel screens, a collection of antiques enriched by priceless Rubelli fabrics. Guests enjoy an airy living room with private balcony, elegant dining area (perfect for hosting small dinner parties served by a personal butler. At the hotel’s center, and one of the reasons many guests return year after year, is the largest swimming pool in Venice. 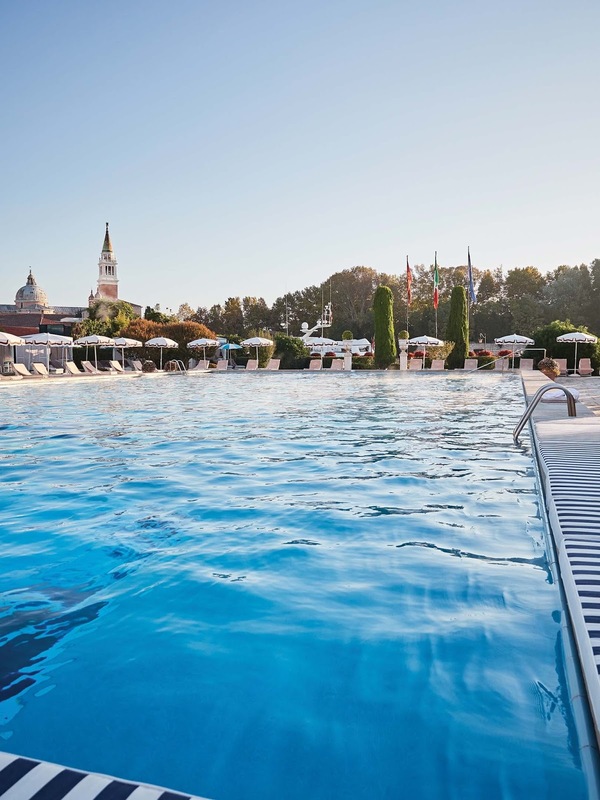 Its buoyant saltwater, treated and heated to a constant 28 Celsius, is very popular with young guests as well as devoted athletes who devotedly swim laps. Parents of youngsters know that during siesta, 2pm—4pm, a hush descends on the resort and children play at the kid’s club, hidden in the garden. After a quiet repose, guests bask in the sun attended by pool staff offering cold drinks. Late lunch of salads and lobster is enjoyed on the terrace. Fresh herbs, vegetables and fruit are picked in the hotel’s ‘farm’ garden. 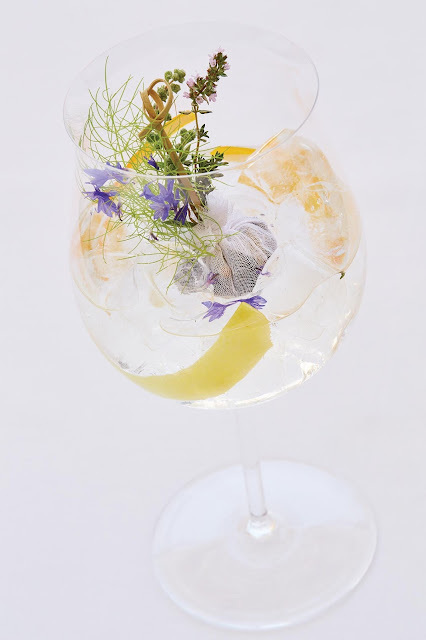 This is an enchanted world, suspended in time, where edible flowers and herbs are harvested daily (nasturtium, fennel, parsley) to supply Chef Davide Bisetto’s Oro restaurant. It’s truly from farm to table, as he chef harvests, then walks back to his kitchen to start creating his light cuisine. And, befitting the Venetian tradition of supporting artists, last year the Cipriani is once more participating in the international Art Biennale Venice, with a dramatic art work, Art-lantis, beneath the waters of the resort’s pool. Visible most clearly by swimmers, six large-scale aluminum-mounted photographs depicting dramatic photography of Venice landmarks mythically underwater are secured at the bottom of the pool, taking artistic messages to places where people would not expect to find them. 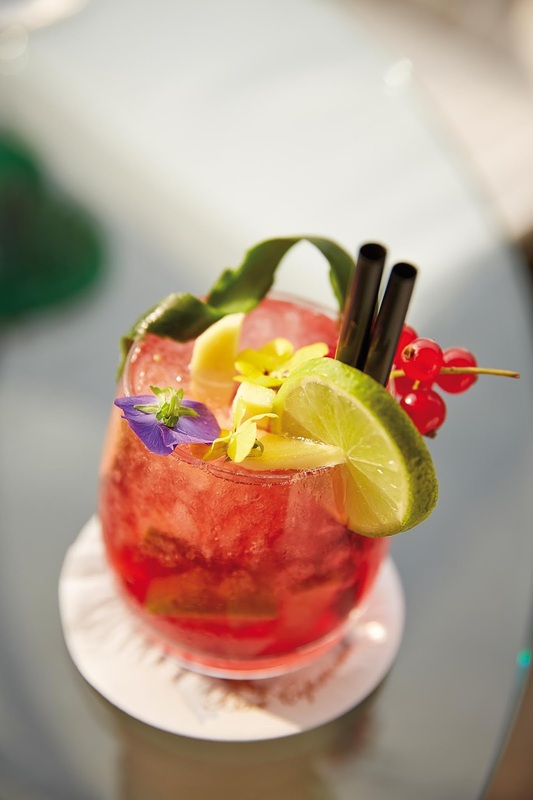 The art project is the Cipriani’s tribute to a much-loved city and a delight for fortunate guests. 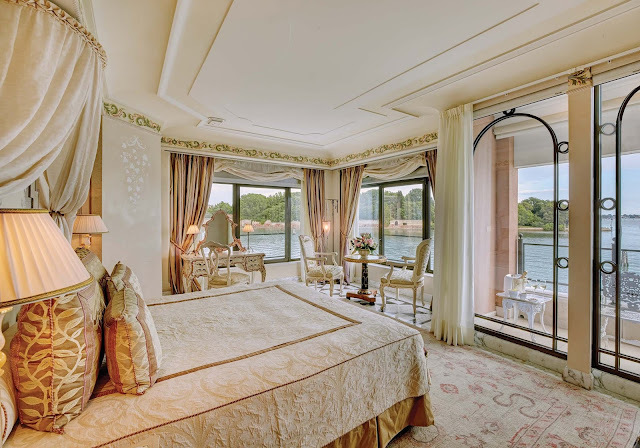 No wonder guests eagerly return each summer, to once more experience a truly magical place. The Cipriani opened for the season on March 21 2018. It will close at the end of the season, in early November 2018. The President of La Biennale di Venezia, Paolo Baratta, together with the curators of the 16th International Architecture Exhibition, Yvonne Farrell and Shelley McNamara, have announced that the 16th International Architecture Exhibition will take place from May 26th to November 25th 2018 (Preview May 24th and 25th) in the Giardini and the Arsenale, and around other venues in Venice. “Freespace describes a generosity of spirit and a sense of humanity at the core of architecture's agenda, focusing on the quality of space itself. I needed this today...thanks! I've always stayed at the Danieli or Gritti thinking I would have more freedom to come and go as I wished. But you just changed my mind. I must experience this at least once in my life! Yes, Dear--I know you will love the Cipriani. It's very low-key...and it's better than ever now. The cuisine is the best it has been...more modern and fresh and very seasonal and special. In particular...I used to love the Danieli and it is looking very tired. And...as you depart and come and go...there is a ramp (perhaps it was temporary) outside the front entrance so that goods and strollers can roll up to the Bridge of Sighs overlook...and it is such a crowd there. Not my favorite. Of course there is the Aman...beautiful location. The Gritti is still very beautiful...and superbly located. 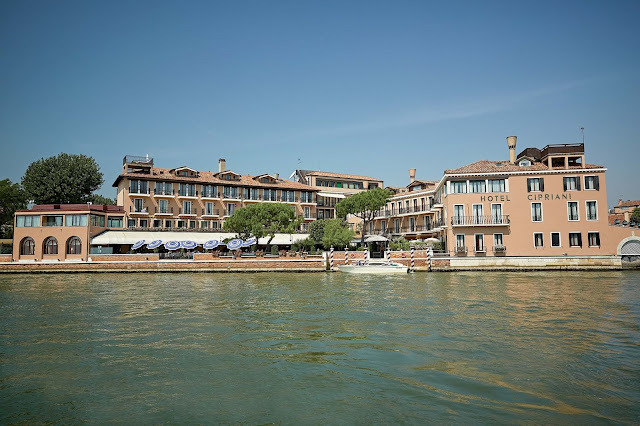 I love that 'side' entrance near the gondoliers with their traghetto....and the quiet square...water front rooms. I once stayed at the Hemingway Suite...corner...looking along the canal in each direction. It was incredibly beautiful. 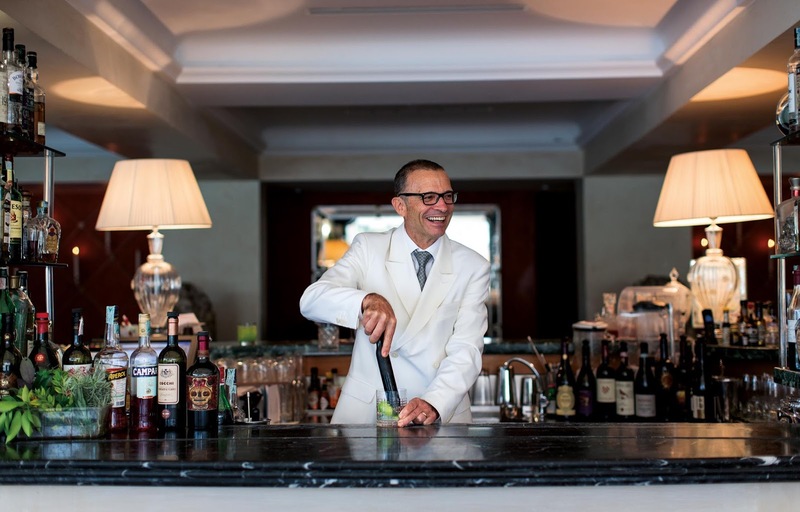 Decor by Rubelli and Donghia and of course the Longhi Bar not to be missed. The Cip is more like a resort...looking out to sea, in a glorious garden. 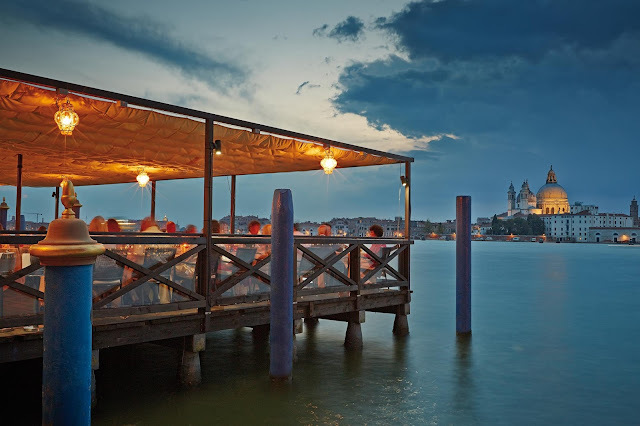 I love walking along Giudecca as well...that's a lovely hideaway. Nice people, understated. Elegant...and still lovely. I gave up on the Danieli a long time ago for the reasons you mentioned. 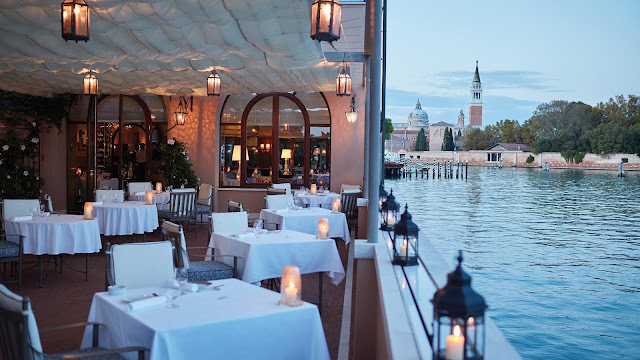 The last three times I stayed at the Cipriani, for all you mentioned but also being able to sit outside, almost in front of the Salute, and watching Venice go by with a drink in my hand. Oh, and most important, the proximity to Harry's Bar and being able to walk there at night by myself. Whenever I was in Europe on business I always scheduled my weekends in Paris or Venice. 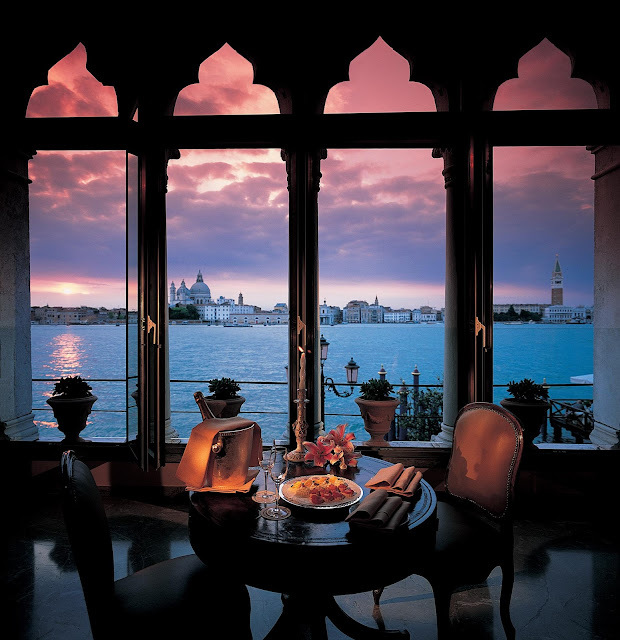 I once stayed at L'Accademia when I went to a party at the Pisani Moretta Palazzo. That was something, the party, not the hotel. quaint but so so. I'll have to post a photo on FB of my arrival in a gondola. I would love to see you in a gondola! Now that would be something.